Just respond in the comments below, and come next week, your words will weave a hilarious story. 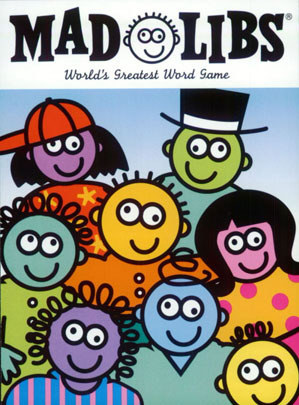 Ooo, I love mad libs! Can’t wait to see what comes of all these! I’m convinced I never learned all the grammar stuff in school, but I’ll give it a shot anyway as Mad Libs is a lot of fun! Steph – Where’s the story? I’m waiting….